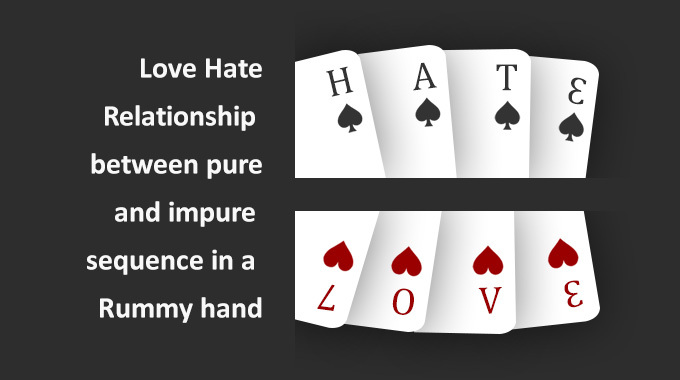 Have you ever been dealt a bad hand while playing card games? It’s quite certain your answer is yes, because practically anyone who has played card games has faced this. And of course, everyone ends up blaming the dealer, right? Yeah! It’s quite common for at least one person in the group to get a bad set of cards, which often turns out to be useless in competitive games. But there are some games like rummy, in which even a bad hand can be turned into something good if you know what to do! But how exactly can you do that? 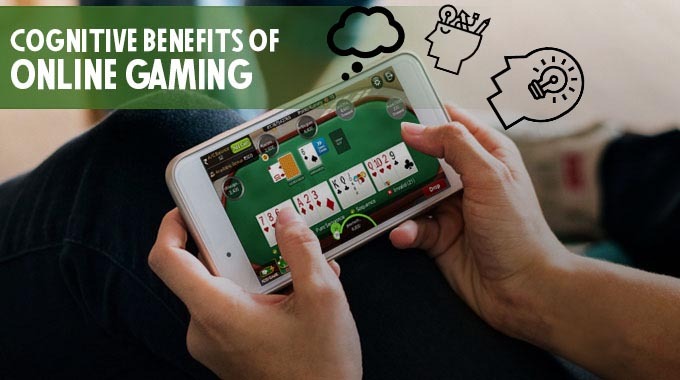 The trick is to stay alert during the game and put all your gaming skills to use. Sure, the cards you pick will help, but the real game changer can only be YOU. So, here are a few tips and strategies on how to turn a bad rummy hand into a winning set of cards. 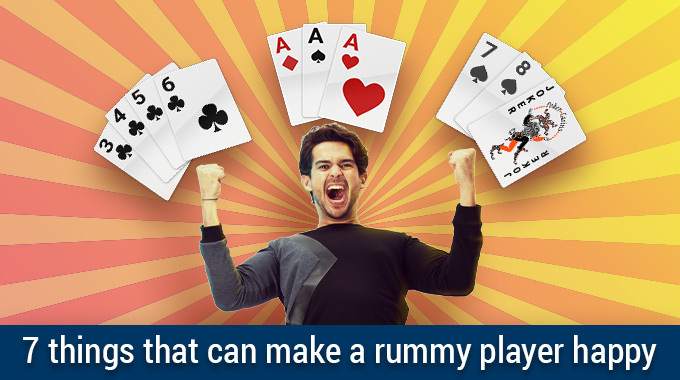 Practice is key to winning any game, including rummy. The more you practice, the more you learn and the better experienced you become. 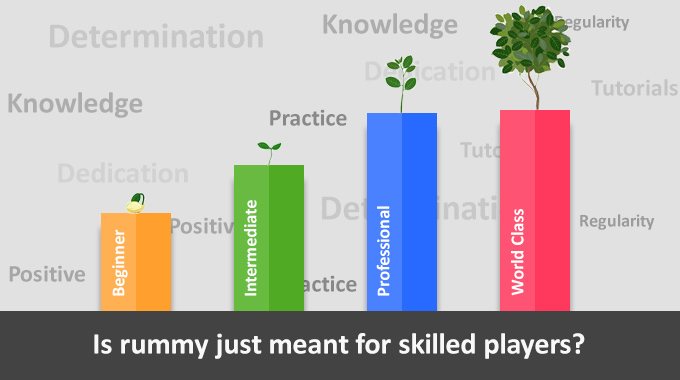 So, start with practice games and keep sharpening your skills. Only then will you be ready for pro games and tournaments that are played for cash prizes. 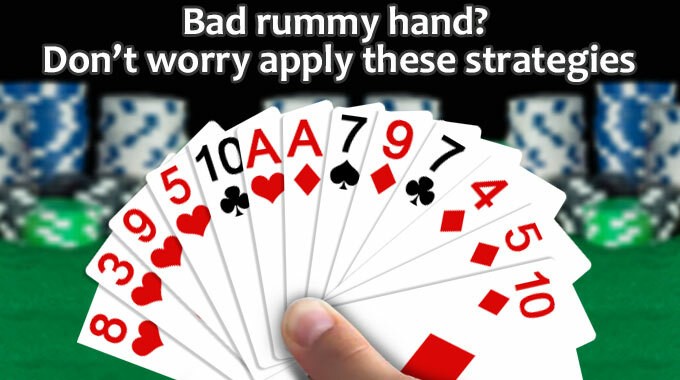 As you practice, you will learn different ways of getting out of tricky situations in a game of rummy. So, when it comes to rummy with practice you can think of new ways to form your sets and sequences. This can turn any game around. Cards that are dealt can’t decide your fate, but your skills and smartness can in a game of rummy. Keep practicing. As soon as you are dealt your cards, pick them up and think about the different moves you can make or sets you can form. It is imperative for you to understand your cards and how to utilise them best. For instance, don’t stress if you have low-value cards. Simply look for ways to create one immaculate grouping that can guarantee you success. Ditch high value cards if you cannot make a sequence or they could end up costing you points. Don’t simply go by the value of the cards you are dealt. You can take care of the other cards by pairing up with a wild card or Joker. It is easier to create sequences with middle cards like 5 and 6 than with high-value cards like Aces. Middle cards like 5 and 6 offer you alternatives to create sequences with more cards like 3, 4, 7 and 8; something that will restrict you if you have cards like Kings, Queens and Jacks. 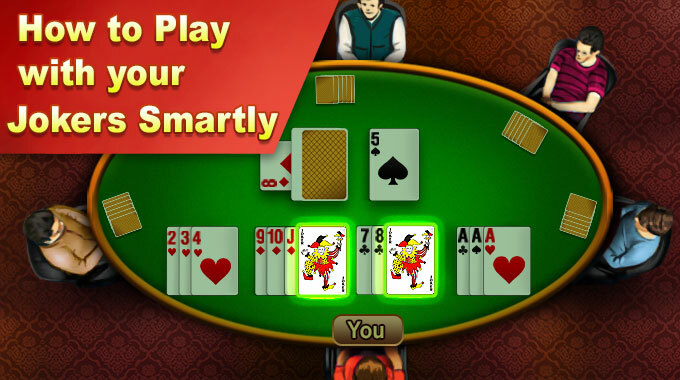 Colours play quite an important role in a game of online rummy. Arrange the cards in your hand in alternate colour schemes. This can help you avoid confusion and make the mistake of discarding a useful card. Most rummy players believe that high-value or face cards are crucial for a win. This is true to a certain extent, but lower-value cards can also play an important role in making sets and sequences. Indeed, even the basic 2, 5, and 7 cards can get you a decent score if you know how to play them well. It shouldn’t be a major concern whether it comprises high or low-value cards. Whenever you end up with low-value cards, don’t stress. Work them to your advantage. Why Discard Your High-Value Cards? If you are a rummy player who is going gaga over your high-value cards, relax. Getting high-value cards alone doesn’t ensure you a win or a great score. Instead, you need to concentrate on making a sequence to fit in your cards. By holding on to these cards, you could be postponing your loss. Therefore, it is fitting for you to get rid of your high-value cards. If you don’t have a Joker in your pack of cards, there is nothing to worry about. 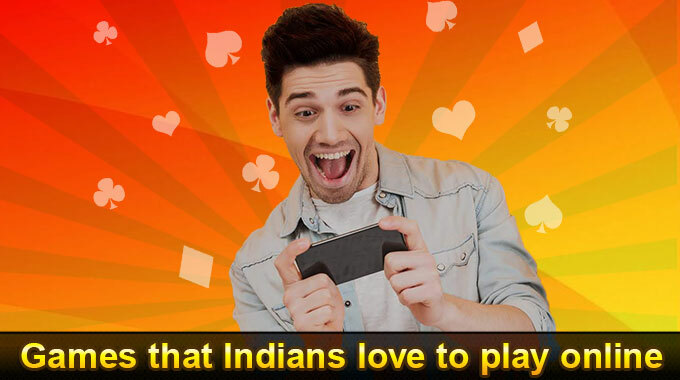 Though the cards have all features to turn around a game of rummy, there is always a chance that you can acquire the Joker or a wild card from the deck. 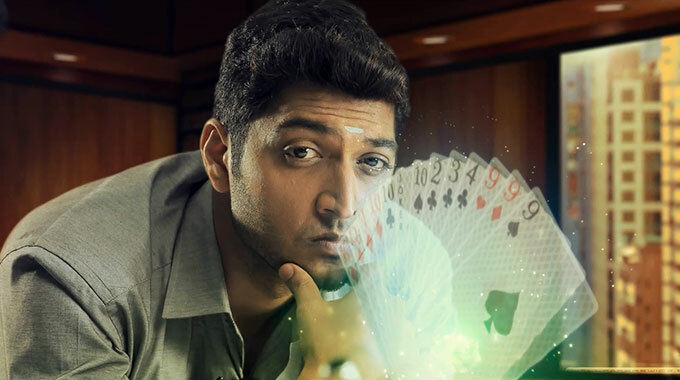 In online rummy, a Joker can be used in many ways. But it is for you to devise new ways of using the Joker. After making a sequence, form sequences with the cards to reduce your total points. This move is particularly useful if your competitor declares the game and you want to cut down your losses. To win a game of rummy, focusing on just your cards is not enough. You need to keep a close watch on your opponents to see what cards they pick up from the discarded lot and which ones they rid of. To do this, you can check the ‘Discard’ card section. If you notice a pattern of the cards they have picked from this pile, you can get an idea of the sequence they’re trying to build. 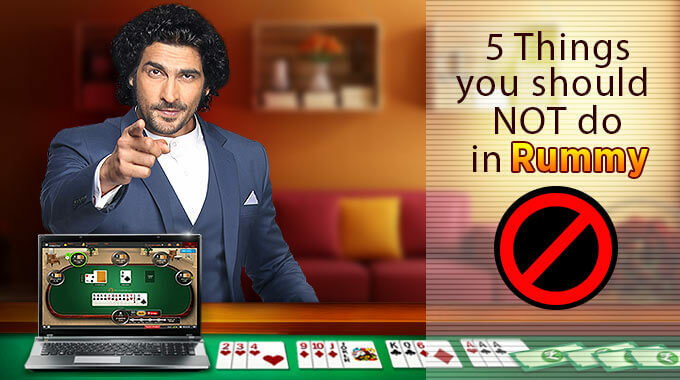 Keep practising these strategies to polish your skills in online rummy. 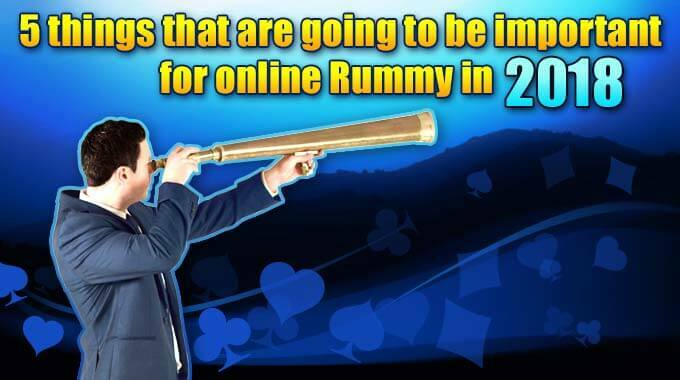 You can also implement these strategies into other variants of rummy, such as Indian rummy to become a better player. These strategising skills go a long way in winning the game for you. So, keep playing and winning.